Home Business Top 50 Best Jobs In America! 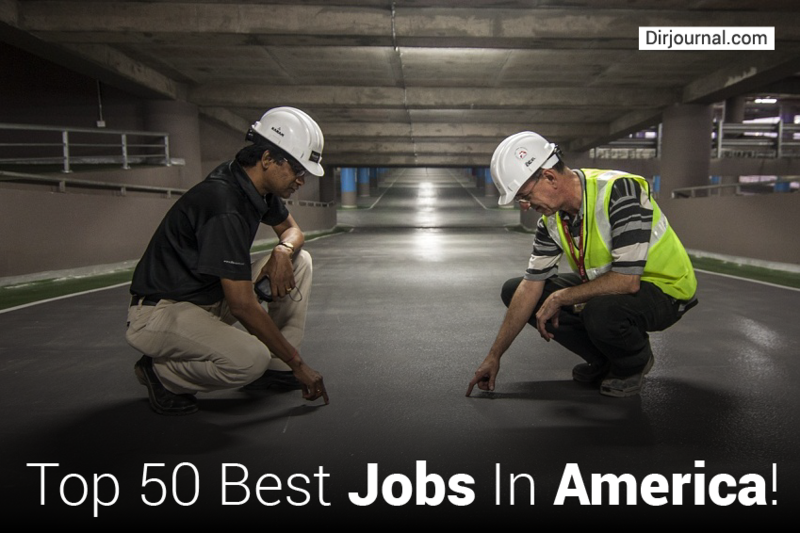 Top 50 Best Jobs In America! According to the Bureau of Labor Statistics and PayScale, the best jobs in America currently are as follows. If you have an educational qualification and experience in IT or healthcare, it’s going to be a cakewalk for you, what with the numerous opportunities out there, just waiting for you. The highest rated job in the United States is in the information technology sector. Engineers are considered extremely valuable due to their exceptional technical problem solving skills. They have jobs as the think-tank “managers” on complex projects, including military defense programs and major transportation networks. They work under a doctor’s supervision and it is a recession proof field because of the shortage of PAs. The best part of this job is the scheduling freedom they get, as well as the time off for holidays and less workload in summer. With the growth of retail health clinics and the shortage of primary care doctors, NPs have lots of opportunities in hospitals, private practices and urgent-care centers. Plenty of opportunities and scope for growth as every company needs tech savvy managers. They can even rise to the level of a chief technology office with salaries of $300,000. CPAs are in demand with the government and businesses. They can also work for themselves as tax preparers. A great recession proof job! The inevitability of aging makes this a high demand job, where physical therapy treatment is needed for a lot of chronic conditions. Companies and government agencies increasingly need to safeguard themselves against breach of security in their computer systems. Top level consultants demand very high pay. Great for those who love adventure as data is collected from internet, military, spy reports, satellite images etc. Sales directors who can help during an economic downturn are always needed. They often get promoted to the higher levels of management. They are doctors who are in great demand, as they are essential to administer anesthesia during surgery or other procedures. Their job is to write software for websites, applications and data processing systems. They give medications for prescriptions issued by medical practitioners. This job involves organizing and participating in rehabilitative programs to help restore daily living and vocational skills to disabled persons. Working with anesthesiologists to help administer anesthesia to patients, they monitor and adjust the levels of anesthesia during the surgery and also take care of patients after surgery. Their job is to assess customer needs and come up with new software products or new features for the old products. Analyzing management, healthcare, engineering, operations and other business information processes to provide software and hardware solutions is their job. They represent clients in civil and criminal proceedings, advice clients on legal matters and draw up legal documents. They will always be in demand as they help treat all sorts of diseases, conditions and injuries. Their role is central to any organization. They have to plan and manage everything related to human resources; including recruitment, benefits, training, compensation and employee relations. They are also required to ensure that all procedures and policies of the company are properly followed through. While the above listed are the top 20 best jobs, let us take a brief look at the rest of the 30 jobs in the list along with the pay. The starting pay mentioned for all the jobs is for workers with at least 2-7 years experience in the particular field. What are you waiting for? Grab the job that suits your qualifications the best and make hay, recession or not. This is perfect, it clarified some opposition I had seen.